By enrolling and taking part in our classes you agree to our Ts and Cs. Payment is due before the start of all lessons. Payment due dates are sent in your confirmation email and your space is only guaranteed once payment has been received. If you do not make payment by this date your space may be offered to the next person on the waiting list. We would like to reassure all our participants we only collect the necessary information that is needed for our enrolment process to facilitate your swimming classes. This information is kept as a secure electronic file is only shared within our swim school. We keep in touch with you whilst you are enrolled in our classes. After leaving, your enrolment information is held for tax purposes for a period of 7 years. We do not share or pass your information onto any third party. From time to time we may also send out our newsletter updates which you are welcome to opt out of. We ask for medical details and any medical information we require that will impact the swimming class. Information is only shared with the swim instructor (if necessary). Active Baby Company Ltd is under no obligation to refund or transfer any monies in the event that you are unable to attend part of, or the entire course. Missed classes cannot be refunded or transferred under any circumstances. If you miss a class or during the holidays, try to go swimming regularly as babies and children progress best with regular swimming. Should you wish to cancel your booking for the next course within 14 days of the commencement date of the term/course/class (up until 12pm noon the day before) we will issue you a refund minus an administration charge of £20.00. This applies to both new and existing clients. We regret that once the course has commenced; regardless of circumstances we cannot issue refunds or credits. Once the term has started, we are unable to offer any refund and 100% cancellation fees are applicable. If you wish to withdraw your child from the term on medical grounds, then we require a letter from your GP or specialist detailing the nature of your child’s ailment and confirming that your child has been medically advised not to swim for the period of the relevant term. We also require a formal letter of withdrawal and request for refund from you. Any refund given on these grounds shall be apportioned according to the number of lessons remaining on the course, from the date of receipt of the aforementioned doctor’s certificate and your written notification minus an administration charge of £20. The refund will then be sent to you at the end of the term via cheque to the name and address we have on file. We are unable to “save” a space without full payment of the current term. Should you wish to “skip” a term this is your prerogative however we are unable to “save” your space and you will need to contact us again when you wish to re-start and we will check availability at that time. Active Baby Company Ltd reserves the right to change lesson times and in some exceptional circumstances cancel classes. 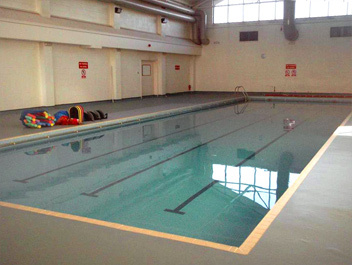 In the instance that a pool cannot be used we will reschedule your lesson at the nearest available pool that day. If Active Baby Company Ltd is unable to re-schedule the same date of cancellation within 2 hours of your “usual” class time and within 20 minutes’ drive of your current pool, we will re-schedule at the end of term/add a week on. In this instance Active Baby Company is not responsible for any travel expenses incurred or for non-attendance of the re-scheduled lesson. In the event of us having to cancel a lesson we will issue a credit against your next term’s lessons or refund via cheque to the name and address we have on file for you. Only under these circumstances will refunds be issued to swimmers. We ask that you follow this Code of Conduct not only to ensure you enjoy your experience, but for the safety and wellbeing of all attendees. Safety in our lessons is our priority. However, it is important you have read our terms and conditions and made sure you understand our assumption of risk. (i.e. you are fully responsible for yourself and those in your care in the pool and surrounding areas). For our Baby and pre-school classes we ask that one adult must enter the water with each baby/toddler. That adult is exclusively responsible for the safety of the baby/toddler both in the pool, changing rooms and the surrounding areas. Siblings in the class or on poolside must be accompanied by a second adult. Babies/children under 4 years (or not fully toilet trained) must adhere to the Happy Nappy ‘double layer’ system. A baby wrap and swim nappy is not adequate. If your baby soils in the pool you will be liable for any costs incurred for cleaning and/or pool closure. Defecation/Soiling/Poo accidents have a huge impact on the pool and classes as well as it can carry many viruses notably a virus called cryptosporidium; which can be carried in faeces and is a notifiable infection which can close a pool down as well as being rather nasty to experience. As part of our terms and conditions your child MUST wear DOUBLE protection in the pool or you will be liable for costs if your baby/child soils in the pool. Just a swim nappy is NOT adequate – accidents happen and an accident in the pool could be costly to you. If you are unsure at all, please DO NOT risk it – DOUBLE NAPPY! This includes a swim nappy AND EITHER a Happy Nappy OR a Baby Snug. You can provide your own nappies or alternatively you can purchase them directly from us, further details & images can be found on our website. Active Baby Company Ltd reserves the right to refuse entry into the pool without the appropriate swimwear. Please take all used/soiled nappies and rubbish home with you. Please note we do not provide changing mats at any of our venues due to health and safety; however, you can bring your own. Older swimmers please wear swimwear which fits (not board shorts or floaty swimming costumes) for streamlining and effective teaching. Boys and Girls: Please wear a swim hat if hair falls in the face when wet. Just tying hair back is not always sufficient. We use pools which are an average of 30 degrees. Arrive in sufficient time to allow the class to begin as scheduled (10 – 15 mins is adequate). If you arrive when the class has already started you may lose the right to participate in the lesson. No outdoor footwear to be worn on poolside or in changing rooms. No outer footwear or prams should be taken onto the poolside. Due to the risk of contamination, please ensure you are not wearing any makeup, cosmetic products including creams and oils when you come swimming. 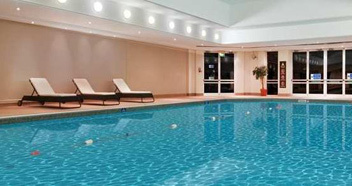 All persons entering the pool must shower beforehand and we advise showering after classes too. After swimming please take care to dry your baby properly especially ears and head. Please be aware that another class may be going on when you arrive, so please try and reduce the amount of noise in the pool area. If waiting on poolside, please wait quietly. If you are noisy you will be asked to be quiet, failure to do this means you will be asked to leave the poolside. It is imperative that noise is kept to a minimum so that those in the pool can hear the Instructor and so staff can maintain the safest possible environment. The same applies when observing any classes. If you have a medical problem and use any medication i.e. an inhaler, please tell your instructor and feel free to keep this near you in class. Avoid feeding babies too close to your lesson time. No food or drink is to be taken into the pool areas or changing areas with the exception of bottled water. Only enter the pool when told to do so by the Instructor. Parents/Carers are free to bring towels onto poolside. Please take all used/soiled nappies and rubbish with you unless a clearly marked nappy bin has been provided – never leave nappies in an open bin. Please take care when walking on poolside or around the changing areas as they can become slippery when wet. Strictly no running inside any of the pool rooms and buildings. Active Baby Company Ltd reserves to right to cancel an individual’s course without a refund, through any incident / inappropriate behaviour at the venues used. 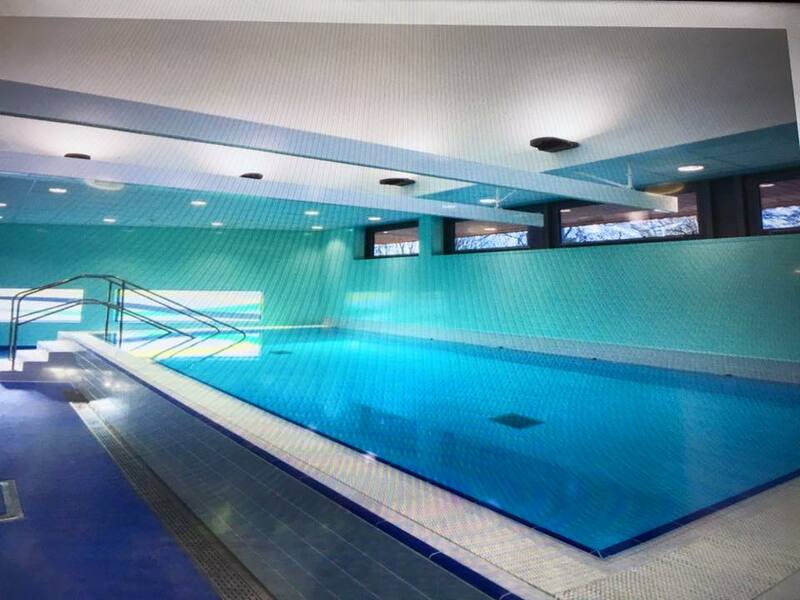 Active Baby Company Ltd will not be liable for any loss, damage or injury whilst on pool premises. Should you, your child (or the adult taking your child into the water) have any known or suspected medical condition then please consult with a doctor or other medical practitioner before coming swimming and please ensure you have disclosed any relevant medical needs/issues to the teacher as it could affect the swimming program you receive. Please do not attend swimming if the adult or child is ill. Would you swim if you were feeling poorly? Will your child want to? Do not swim if you or your child has an illness such as, but not limited to sickness, diarrhoea, chicken pox or impetigo. Where appropriate consult your doctor before returning. In the instance of sickness and diarrhoea you/your child must have been clear of symptoms for a minimum of 48 hours from your/their first solid normal bowel movement or last vomiting episode where no other symptom exists, before attending a lesson. For all contagious illnesses, please contact your health provider and us before swimming. If you/your child has had something like cryptosporidium or Norovirus or Rotavirus or similar, then it is 14 days after the first normal bowel movement or last vomiting episode AND where all other symptoms have also gone. After injections or immunisations, be led by how your baby feels, we advise you to allow 24hours before coming swimming, as babies can be a little under the weather after injections. If your child has a runny nose, ask yourself if they are well enough to swim and please refrain from wiping their nose and “cleaning” them off in the pool water. Whilst the family atmosphere we try to encourage means that parents/grandparents feel comfortable taking photographs or video footage we would ask that everyone remains sensitive to the feelings of others and always stop filming should they be asked to do so. Active Baby Company Ltd reserves the right to use our underwater and class photographs for publicity purposes. However, in each instance we will ask your permission and endeavour to send you copies of any articles/features in which your baby might be featured. There is strictly no photography or videoing permitted at The Hilton or Billing pools. 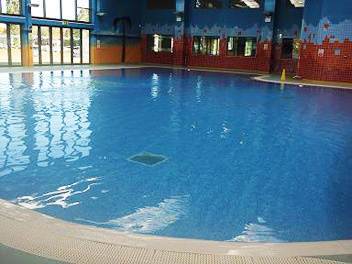 If you wish to take photographs or video at The Gateway pool or Daventry, prior permission must be obtained from the Instructor and we will always check with the rest of the class. No lengthy recording or reproducing of our classes and activities is permitted. Due to glass breakage, smart phones and computer tablets are not permitted around the poolside. Active Baby Company Ltd cannot accept any responsibility for the loss of any personal possessions. All valuables are left in changing rooms or on the poolside at your own risk. All jewellery (except wedding rings) should be removed before entering the water. Jewellery/watches can be a hazard and we advise they are not worn during swimming. All personal items must be taken home at the end of each lesson. Swimming goggles may be worn at the owner’s risk. Any personal belongings are left at the owners’ risk. We do not provide a lost property service. Should it be necessary to evacuate the building no attempt should be made to recover possessions from the changing rooms or anywhere else within the building. A member of staff will take charge once the swimmers have left the water. Parking at any of our venues is at your own risk, we do not accept any liability to your car or your personal possessions. All parking and pool specific information is sent with confirmation emails. Any misdemeanours and breach of this Code of Conduct will be dealt with by Active Baby Company Ltd. In the absence of any proven negligence, lack of due diligence or breach of duty by the instructor(s), Active Baby Company or its employees, the participation of you, your spouse/partner, child or those in whose care you have placed your child for the lesson is at your own risk. You are fully responsible for all the applications of Active Baby Company Ltd you may practise outside the classes now and in the future.